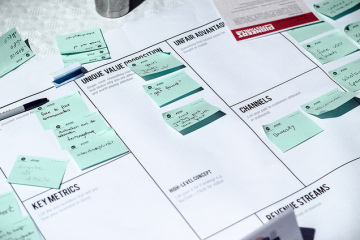 This is a guest post from startup veteran and Ambi Climate CMO Martin Kessler. 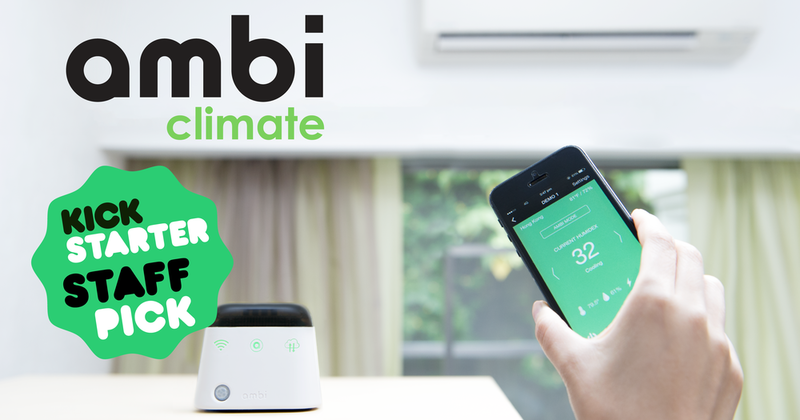 Ambi Climate is an internet of things of device that makes your window/wall air conditioner smart. We are currently running a successful Kickstarter campaign. With almost $100,000 raised so far, we have exceeded our goal by nearly 400%. Our campaign also got press from TechCrunch, Engadget, 9to5Mac, BGR, Gizmodo and SlashGear, just to name a few. It didn’t always look this bright for us. A few months earlier we had attempted to crowdfund on a new crowdfunding platform called Crowdtivate. Unfortunately the campaign never took off and we could not gain momentum beyond our network of friends and believers. We failed. While the choice of the platform played a role in the failure of our initial crowdfunding campaign, we also noticed two things. For one, we should have done a better job at communicating our story. Don’t tell the story that you want to tell, but tell the story that your audience will understand. Many visitors didn’t understand our product’s value proposition and function well enough. For another, getting initial traction is crucial to get the ball rolling. According to Kickstarter, 79% of all projects that raise 20% of their goal early on, end up being fully funded by the end of the campaign. We knew we had to make a coordinated effort at rallying both press and our own network to reach critical momentum during the first 48 hours. In the end things turned out very well for us the second time around, and referrals outside of Kickstarter played a huge role in making our Kickstarter a success. In fact, over 70% of our campaign’s contributions were achieved through external sources. It goes without saying that a successful campaign depends on their own community and a great PR campaign. Getting press is crucial to amplify your reach outside of your own community and Kickstarter power users. By increasing your social shares, pageviews, and backers you will find your campaign to rank high on Kickstarter. Build relationships with influencers and journalists locally and internationally. The process of getting press for your Kickstarter shouldn’t just start when you press the launch button. In most cases this will be too late. In fact, you should start to connect with local and international influencers as early as possible. Most journalists hang out on Twitter and they talk just about anything from news stories to bad pitches to the things that occur in their daily life. It’s relatively easy to engage with them there. Engaging with influencers and journalists turned out to be extremely useful, as it brought us quite a bit of extra coverage and social shares. Figure out who would want to write about you. You don’t want to go for a spray and pray approach and spam every journalist whose email you could get your hands on. Do your research on what audience will be interested to read about your product and what journalist is covering your niche. This approach allows you to create a targeted and personalized pitch. An easy way of researching this is by running a Google search on news coverage of similar projects that have been crowdfunding. You can either do this on your own, which can be time consuming or you can rely on a service such as PressFriendly. Come up with a compelling headline and keep it short! Put yourself in a writer’s shoes. If you get 500 emails a day, you probably will only be able to read the subject lines of all the emails you receive. And even if that piques their interest they will likely just skim through the first three paragraphs of your email. So you better get your elevator pitch together when reaching out to press. At first we wanted to pitch our story as your typical Kickstarter launch story. Fortunately working with PressFriendly we realized that a crowdfunding launch is nothing special. Most stories have several angles that may make them newsworthy. Most of the time it can be angle that centers around either the founders, the technology, user benefits or current trends. We found most tech journalists were intrigued by the user benefits of our product. And even among the tech press, different writers picked up on different features. Tech and gadget blogs such as Engadget and TechCrunch focused on Ambi Climate’s ability to automate your AC controls through smart sensors and clever machine learning algorithms. Apple and Android press like 9to5Mac and AndroidSpin emphasized our device’s ability to control your air conditioner via your iPhone or Android. Of course we also pitched our story to local and regional journalists in Asia. These were more interested in our Hong Kong based team or that we failed on Crowdtivate, and then succeeded on Kickstarter. Build a press kit: press release, high-res images, founder bios. Having a press kit should be obligatory for every startup that takes PR serious. Some reporters may seek to differentiate themselves with extra founder quotes and product images. We thus prepared a press release, high-res images and founder bios that we hosted on our Dropbox. Hosting your press kit on Dropbox makes it easily accessible on smartphones. Outreach in advance. Set an embargo to the release of your campaign. It’s important that you start your outreach at least a few days if not over a week in advance. Some reporters may be away, some may be flooded with emails on the day you email them and thus require a follow-up by you. So it’s always good to give yourself a head start. Beware of when you want to launch your product. We first wanted to launch our Kickstarter a couple of days after the iPhone 6 launch event. That would have been a bad move. Most reporters are swamped with work before, during and immediately after a major product launch. As you can imagine trying to get your emails opened during such a time is a major challenge for itself. We are now a few weeks into our Kickstarter campaign but that doesn’t mean our press outreach has come to an end. Together with PressFriendly we are still identifying new blogs. We are now reaching out to interior design and family friendly blogs that have a different audience than the one we have already reached with tech and gadget blogs. Grow and engage your community. This is a no brainer. Having large community allows you to achieve more traction off the bat from day 1. This is important, as without early traction, a lot of press will not even bother to touch your project. There are far too many new projects and products out there. Writers want to make sure they cover only those are both interesting and successful. Though it is pretty hard to grow your community organically in a quick fashion, there are some ways. For instance, we ran a giveaway for a gadget that appealed to our target audience. This contest alone added nearly a thousand subscribers to our mailing list and several hundred of additional fans. And all it cost us was about $130, which is pretty cheap given the amount of emails and fans it brought us. Once you have built a community, use it. With well-written newsletters and Facebook posts you can leverage your crowd for the maximum impact. Don’t just stop at your community. Reach out to friends, family, relatives, co-workers, ex-boy/girlfriends, acquaintances etc. You basically want to contact anyone that you think could be interested and/or supportive of your project. I reached out to over a hundred friends via Facebook and other channels such as WhatsApp, WeChat, Line and email to inform them about our project. At first this was merely to ask them for feedback on our campaign page, which proved to be super useful for nailing down our messaging. Yet further on this allowed me to get the conversation started and got a number of my friends interested in our campaign. For even further reach I recommend exporting your Gmail and LinkedIn contacts so that you create a list of all your acquaintances. With the creation of a Gmail MailMerge script you can reach up to 100 people with a personalized email every day. You don’t need to ask them to buy your product. Everything from sharing, visiting your campaign to even pledging as little as $1 will help you to rank better on Kickstarter. Nowadays it is hard to get onto your friends’ newsfeed as you are competing with a ton of other information. It is far easier to get your friends’ attention by creating a virtual Facebook event and inviting all your friends to it. This will directly send them a notification. At Ambi Labs, we set up a virtual Facebook event a week in advance for our launch day. If your entire team invites all their friends, you can reach thousands of people with this simple trick. Sharing is super important. It drives traffic to your Kickstarter or Indiegogo page but it also allows you to rank better. We used Thunderclap to make a coordinated social media effort. It’s a tool that allows a single message to be mass-shared, flash mob-style, so it rises above the noise of your social networks. We launched a Thunderclap campaign a week in advance of our campaign. This allowed us to send out a social media message about our campaign on our launch day to over 100,000 people. If you are able to sign up enough people, Thunderclap can become a great tool to amplify your reach even further. Don’t underestimate the power of forums, Facebook and LinkedIn groups as well as social bookmarking sites! They are a free way to spread the word to other communities. I have compiled a selection of the sites I have used to share our campaign on my Evernote. Make sure you also make great use of Kicktraq. Kicktraq is a platform and tool that allows you to track and predict outcomes of Kickstarter campaigns. What is important is how many daily users on Kicktraq are engaging with your project. The more people use the Kicktraq plugin to view your project and are sharing your Kicktraq profile the higher you rank on their Hot List. People are lazy and even sharing is considered an effort these days. You want to make it as easy as possible for your friends and backers to share your Kickstarter. We have therefore put up social sharing buttons for our Kickstarter but also a few for the press we have been getting on our website ambiclimate.com. Going the last mile with advertising. If you want to go the last mile, you also want to consider building a retargeting list through your website. You can use a service like Perfect Audience or AdRoll to retarget ads on Facebook and Google’s display network to all those who have visited your website before. Unfortunately it’s impossible to track conversions on Kickstarter using advertising. So it’s hard to optimize your ad campaign for conversions. But if you are going for maximizing your campaigns reach, ads are a great tool to drive further traffic to your campaign. Using Facebook you can also drive native ads such as a news article to an audience of a certain geography that is into crowdfunding. For Ambi Climate Facebook has proven to be a great asset, as we are targeting only certain areas in N. America and Asia. Crowdfunding is all about the backers. They are the backbone of your campaign and without them you wouldn’t be able to realize your dream. But at the end of the day, if your campaign isn’t being noticed then your past efforts will easily go to waste. Preparing your PR and marketing your campaign shouldn’t be taken lightly and they need to be seen just as important as the creation of a good campaign page. Yes, you are so true that people now a days are so very lazy pressing the share button.